Sonos today has announced a new voice controlled smart speaker called the Sonos One, set to launch globally on October 24—priced at $249 CAD–with pre-orders available today. The Sonos One—available in black or white—will launch with Amazon Alexa support (US, UK and Germany at launch; Canada left out), but will include Google Assistant in 2018, and Apple AirPlay 2 support coming in the same year. This support for AirPlay 2 will let Siri control music on Sonos speakers and also let Sonos act as speakers for your streaming videos and movies from an iOS device. Starting today, however, existing users in the US, UK and Germany will be able to control their Sonos via Amazon Alexa with a coming software update. 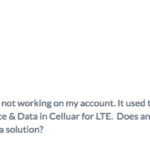 There is no Alexa support for Canada, yet. 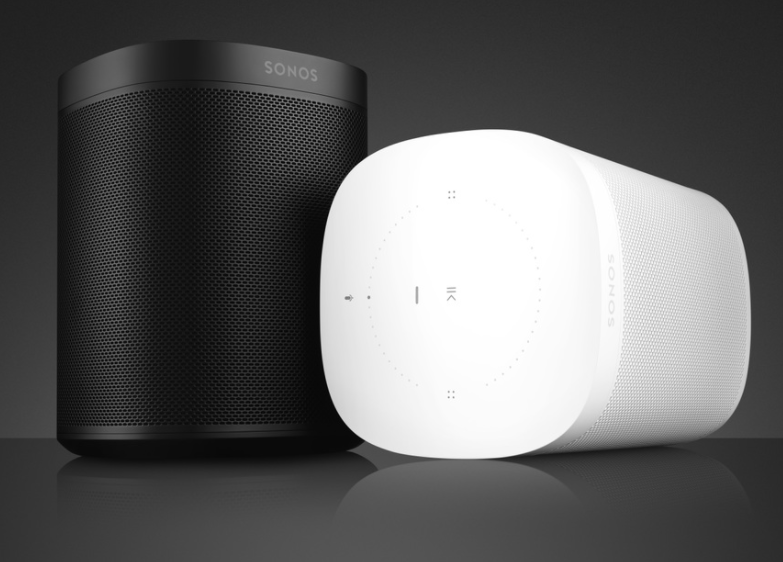 The new speaker will work seamlessly with other existing Sonos speakers and users can wirelessly pair two together for stereo sound, or link them to a PLAYBASE or PLAYBAR for home theatre surround sound. Sonos One has two Class-D amplifiers, one tweeter and one mid-woofer, to go with six-mic array and an adaptive noise suppression algorithm to focus on who’s commanding the speaker. The company says their voice capture technology with echo cancelation will let the speaker hear your voice over music, so when you speak, music will automatically lower volume. A light on the speaker will clearly be illumined if the microphone is on or off. Sonos says their speakers will now support over 80 streaming services (Including Apple Music), with Pandora and Tidal in the coming months, while Audible, iHeartRadio, and Kuke Music set to arrive in 2018. The Sonos iOS app was also refreshed today, while the company says their developer program will open up in 2018 to let developers build on the Sonos Sound Platform. Apple’s smart speaker, the HomePod ($349 USD), is set to debut in the U.S. this December, but there’s no word when it will reach Canada. The launch of Sonos One this month will definitely eat into some HomePod sales, given the price point of $249 CAD (same as the entry PLAY 1) and AirPlay 2 support coming next year.